Super snowy, busy day today — I didn't shoot as many pictures as I usually do because I was rushing and, let's be honest, it shows. Today I was experimenting with mixing black and brown, which is supposed to be a fashion "don't." But I love how black turns brown from a neutral into a color. To be perfectly honest, I wasn't sure when I got dressed this morning if these tights were black or brown, but I figured it was OK either way! My daughter was hanging out while I shot photos this morning — she was impressed at my twirling abilities, and also gave me this letter "X" to hold while she went to play in the closet. It kind of looks like a heart in this shot. 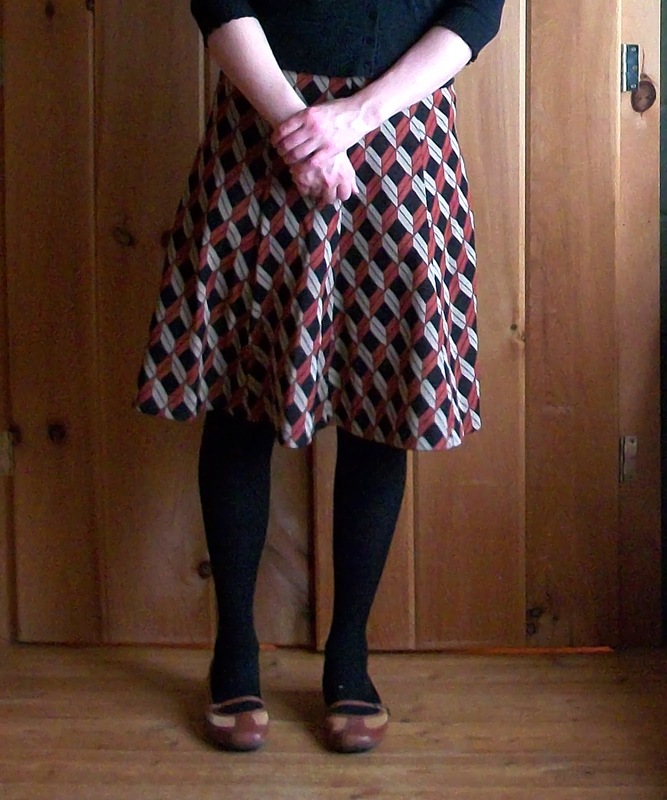 This skirt is in my shop (link below) — I absolutely love it but I also couldn't resist listing it because it is just so awesome. Check out yesterday's post for links to this week's giveaway.